It’s that time of year when scholarship ooportunities are annouced. Here are a few that you might be interested in…. Submit your FBA State Scholarship. CLICK HERE to access a copy of the application. Student Scholarships Building upon the proud history of NAHB’s wide range of support for construction education, the National Housing Endowment, Home Builders Institute (HBI), and state and local home builders associations (HBAs) continue to find avenues to educate students on the many opportunities a career in construction offers. For more information about each scholarship, please visit the pages for each program. The National Housing Endowment/EOC Student Scholarship (formerly the Bill Carr Scholarship) is awarded to children of Executive Officers in pursuit of a college degree. Funding is through Executive Officer contributions and interest accrued by the Endowment. 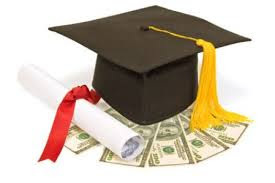 The scholarship program is managed by the National Housing Endowment/EOC Student Scholarship Subcommittee. To date, more than 187 students have received funds totaling more than $224,500. Houzz is excited to announce the new Houzz Scholarship Program! Their goal is to support the next generation of students studying architecture, interior design, landscape architecture and construction management. We are looking for the best, brightest, and most innovative students in residential design and construction.